In early 2014, I finally had a chance to buy one of my dream cars. NA, MT, RWD, driver-focused, all chassis with only as much engine as you need -- it was everything I loved that the rest of the market seemed determined to kill off. Or at least, as much of it as you can have with usable back seats. 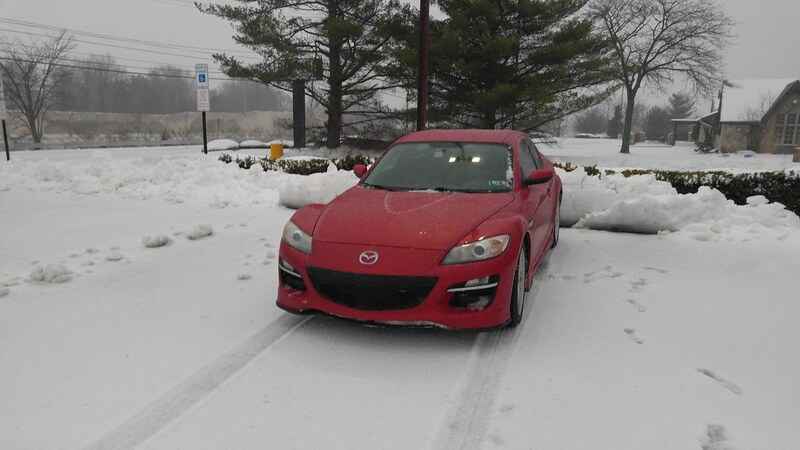 Three and a half years later, I'm as determined as ever that this car will have to be pried from my cold dead hands. Been a member at RX8Club for a while. Looking forward to participating in a new community! Any pics of your baby? Ditto to everything Fenda said. Yes, but they're all hosted on sites that no longer do third-party hosting. Working on it! Can't see in that pic, but there's a tiny gap between the car seat and the front passenger's seat. And the front seat just barely accommodates my wife in that position. Whew! I used to do the rear facing child seat thing with my 1st son in my old RX-8. Too bad my wife is 6' tall, so she couldn't get in it. Once he was rear facing it was perfect though! Wow! Yeah, I can see that. I'm just over 6' and I definitely don't fit in the passenger seat as it is in that pic. 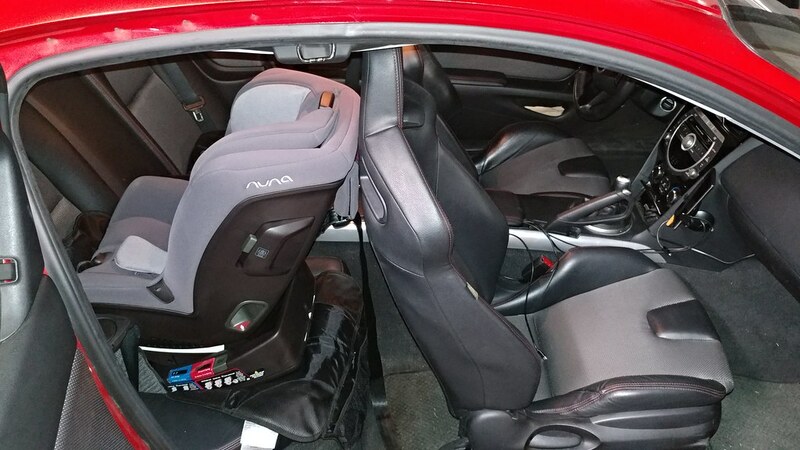 This convertible car seat is the most compact decent one we could find, too. It's at full recline in the pic, but it almost needs to be with that sharply angled rear seat bottom. Here in PA, kids have to be rear-facing until age 2, or until they outgrow a rear-facing seat. Counting the days! Nice car. I love the color! I keep telling myself I'm going to get a Series 2 R3 when the kids are old enough to be out of car seats. Can't blame you for waiting. We're lucky we don't need the car much, living in the city. If we needed it more, it'd be a struggle. 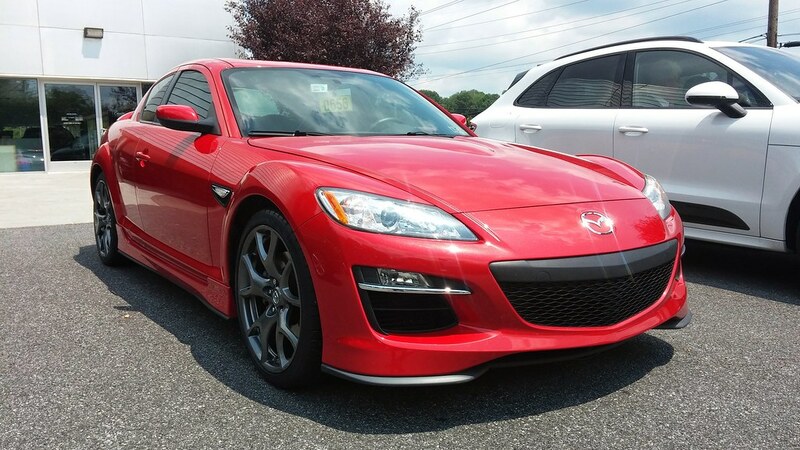 I like those R3 RX-8s. Great looking car! What site did you end up using? I've been going through that BS with photobucket as well. Flickr. Saw someone else using it and decided to give it a shot. Cool, thanks! I'll check that out.